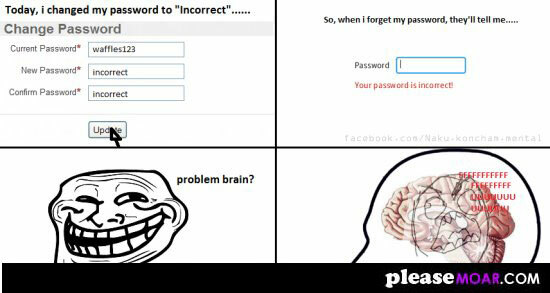 Home / image / problem / troll face / Today I changed my password to "incorrect". Problem brain? Today I changed my password to "incorrect". Problem brain?